Hakuna matata is Swahili for "no worries", and this is exactly the spirit that fills the atmosphere of Zanzibar, the Spice Island of Tanzania. 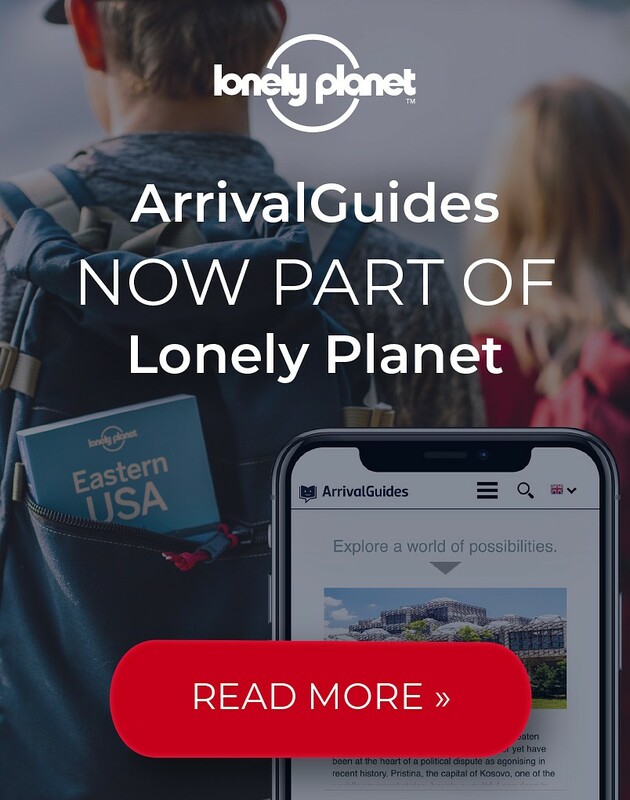 A heavenly world sprinkled with charming colonial buildings, white sandy beaches, colourful markets, and flavours of exotic cuisines from all over the world. Opening hours: Business hours are usually from 9.00 to 17.00. Businesses and government offices (excluding shops) close around 12.00 on Fridays. 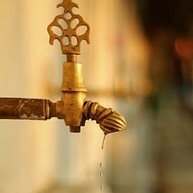 Discover Zanzibar's eventful colonial past, and immerse yourself into the colourful marine world embracing the island. The House of Wonders is one of Stone Town's most prominent landmarks, showcasing European and Omani influence not only in appearance, but also through the various exhibitions housed here. 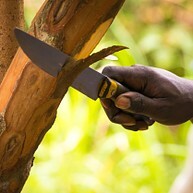 If you are short on time, this is the best place to catch up on Swahili and colonial culture. If you are looking to get the most of local vibe on the island, head to Darajani Market: there's nothing you will not find here—intense flavours, fresh seafood, colourful souvenirs, and even electronic gadgets. Built after the Portuguese defeat in 1698, this fort was a key structure for the Omani Arabs during the rule of the Sultanate. It served as a prison and garrison in that era, and today it functions as a visitor centre with an amphitheatre, holding various cultural events every year. 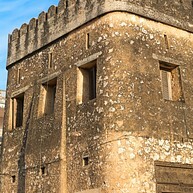 A little museum dedicated to the eventful life of Princess Sayyida Salme. The Sultan's youngest daughter fled from Zanzibar in 1866, and later wrote "Memoirs of an Arabian Princess from Zanzibar". Join a guided tour to learn some interesting details about her life. 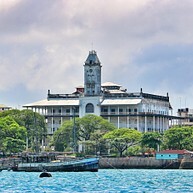 Built with the original aim of Indian merchant Tharia Topan to set up a hospital, the building eventually functioned as a dispensary during the 20th century, and today is one of the most prominent landmarks on the waterfront, housing a museum and an Ethiopian restaurant, the Abyssinian's Steakhouse. There are hundreds of doors in Stone Town, all unique and with a different story to guide you through the island's rich colonial history. 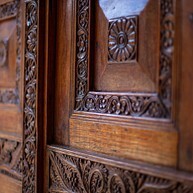 Arabic doors are ornamented with the symbols of the Quran, Swahili doors stand out in their simplicity, while Indian doors are equipped with a brass knob, with the original purpose of protecting doors from elephants back in India – pick a favourite. This impressive waterfront building adjacent to the House of Wonders was the residence of the Sultan's family in the 19th century, and today it houses a museum about the sultanate showcased through the lives of prominent rulers such as Sultan Khalifa bin Harub, and princess Sayyida Salme. Since the arrival of the Portuguese in the 16th century, Zanzibar has been a leading exporter of spices such as clove, nutmeg and lemongrass. This visit to an original shamba (spice farm) will give you insight into Zanzibar's spice culture, and also includes some fruit tasting, as well as the opportunity to stock up on your favourite spices. 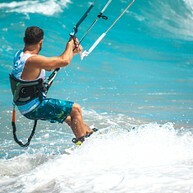 Move off those well-stocked fish platters with some kitesurfing lessons: Zanzibar is a top-notch waveriders' paradise. Prison Island is a peaceful haven just 30 minutes away from the ever-bustling city centre. 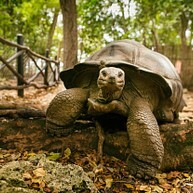 Once an important site of 19th-century slavery, it is today home to none else than adorable giant Aldabra tortoises. 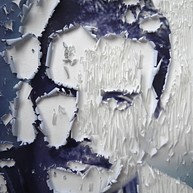 A small museum with a photography collection paying homage to the most famous person ever born on this island, Farrokh Bulsara, better known as Freddie Mercury. 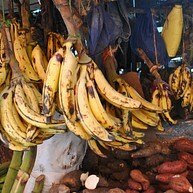 Due to its strategic position, Zanzibar was a long-dreaded slave market site throughout the 19th century. This Anglican cathedral, neighbouring the popular Darajani Market, was built in the late 19th century to mark the end of slavery on the island. 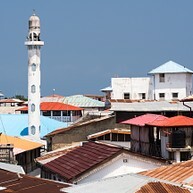 Islam is still the largest religion in Zanzibar, and there are over 50 mosques adorning the island's skyline. Located in the neighbourhood of the same name, this 15-century mosque is one of the oldest landmarks of the rich Arabic heritage. Although the baths were in use until 1920 and are now open for a short visit only, it's worth stopping by to absorb some of the island's Middle Eastern heritage. An NGO rescue centre dedicated to protecting the local Hawksbill turtle population, which is heavily hunted for the attractive shells. They're a friendly local community who does not only give shelter to baby turtles in threat, but also holds educational classes for anyone interested. 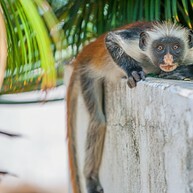 Zanzibar's only 50-square km national park represents the island's diverse indigenous flora and fauna, such as the emblematic red colobus. The reserve also includes Chwaka Bay with its extensive sea grass beds, and neighbours on the Zala reptile park as well as the Butterfly Centre. Join a tour at the entrance, and learn about the mythical Zanzibar leopard!